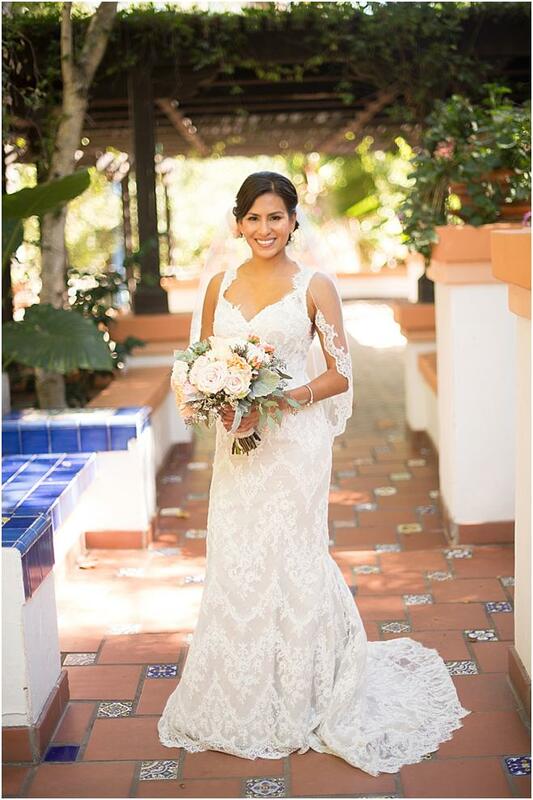 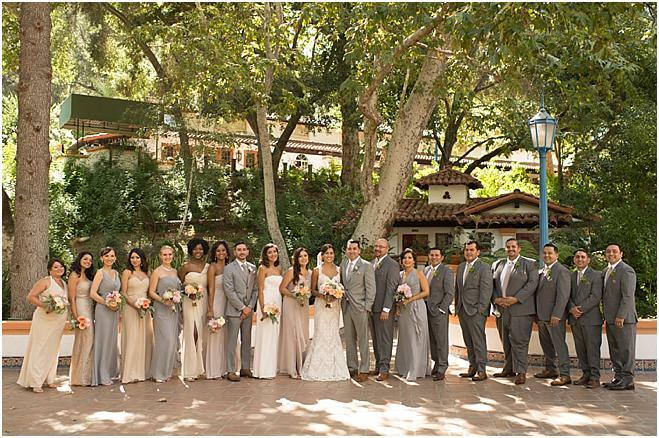 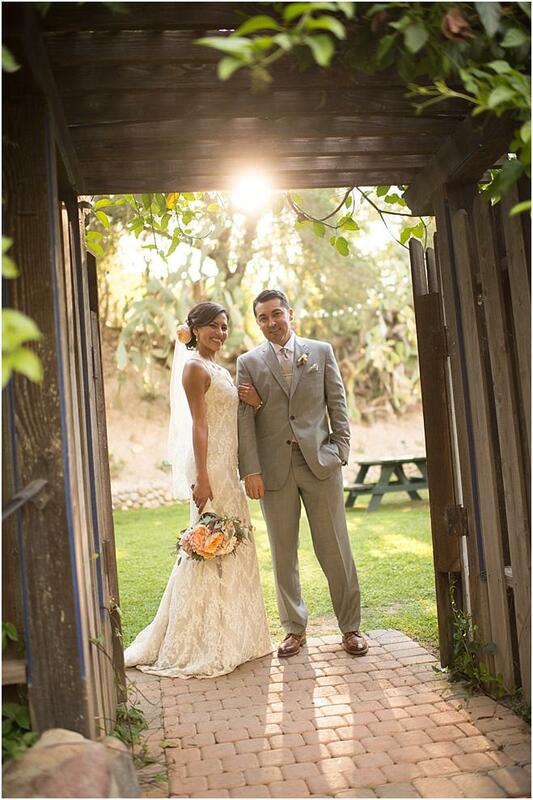 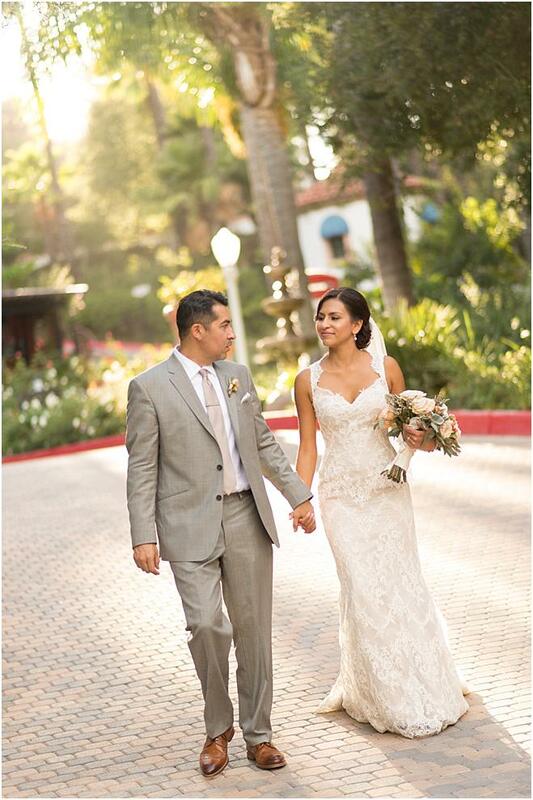 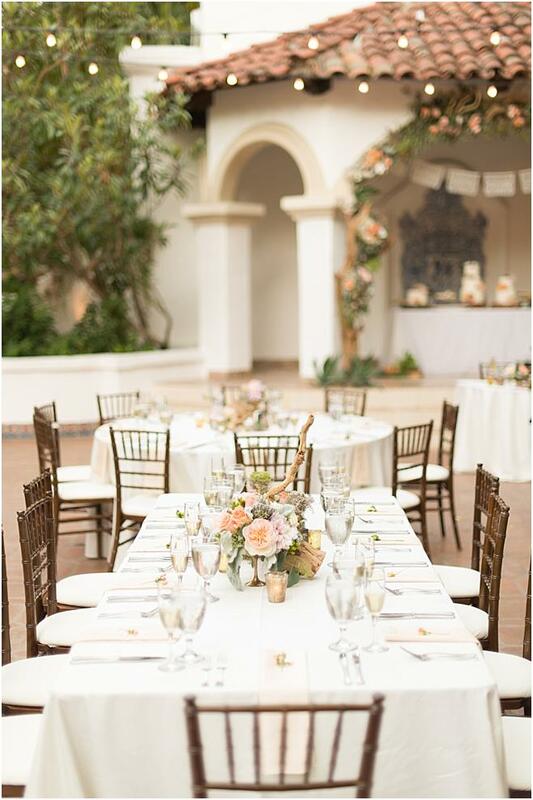 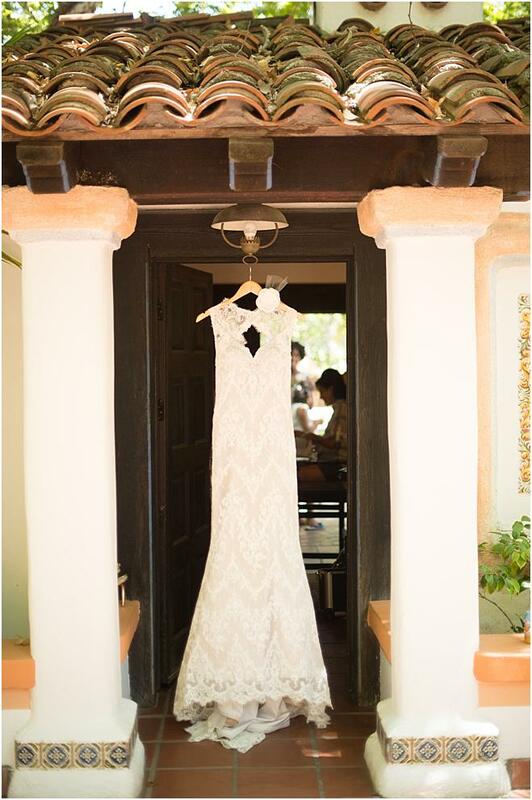 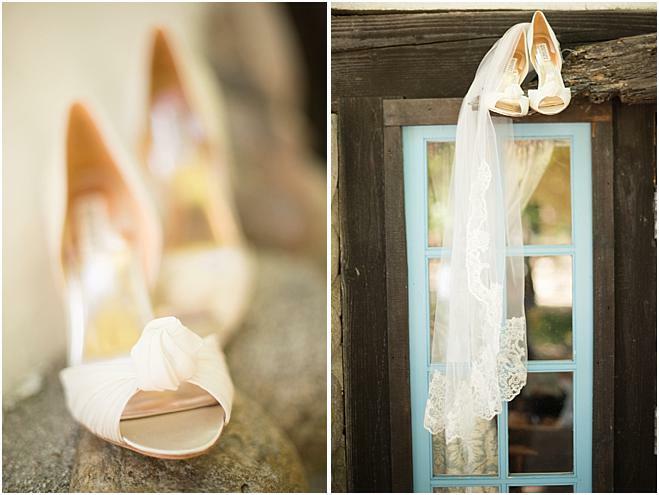 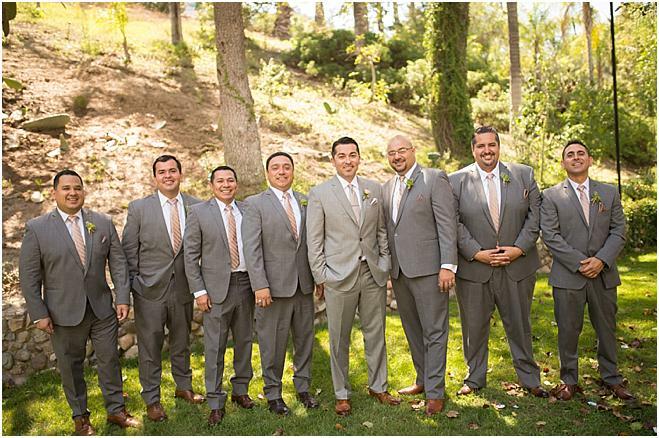 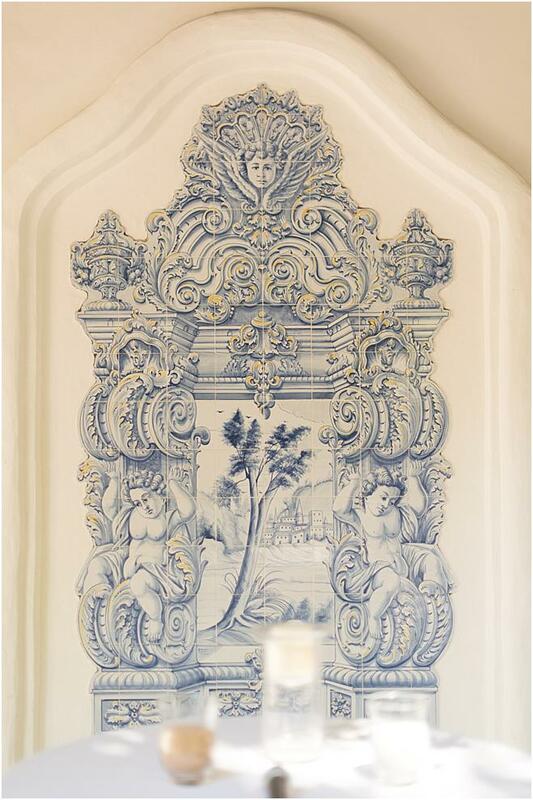 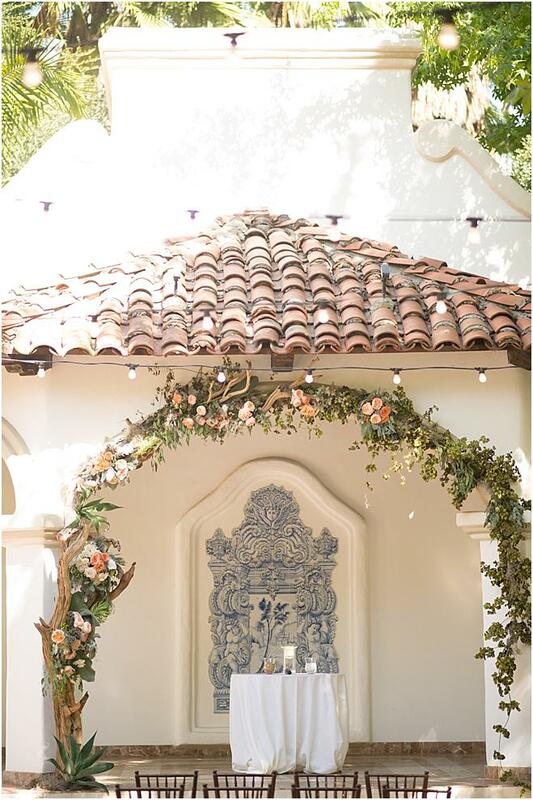 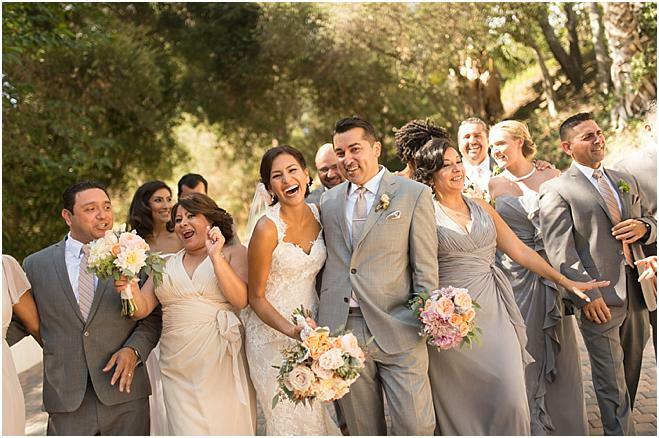 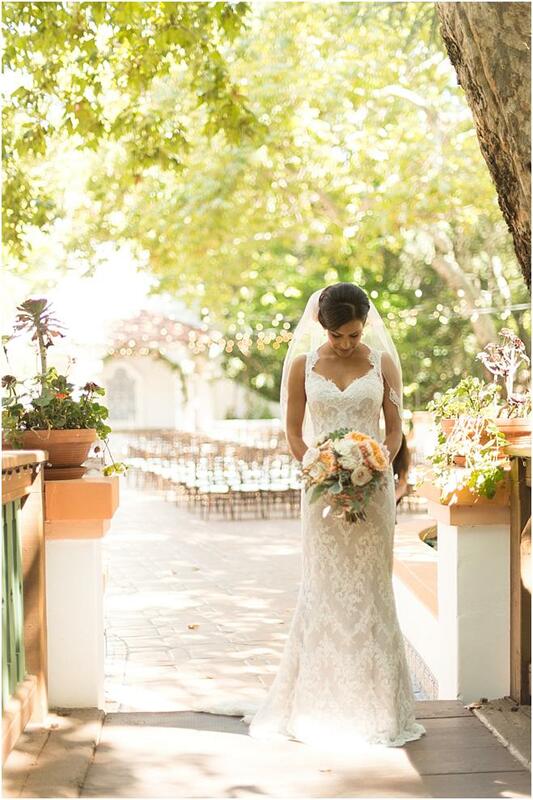 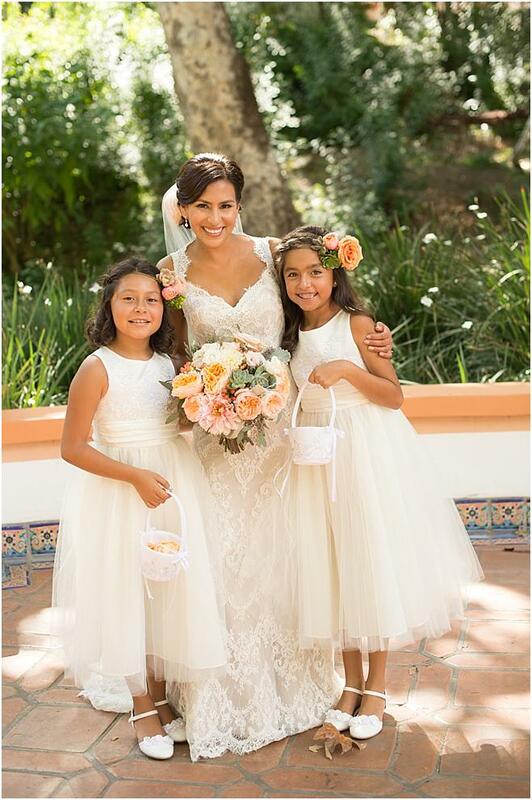 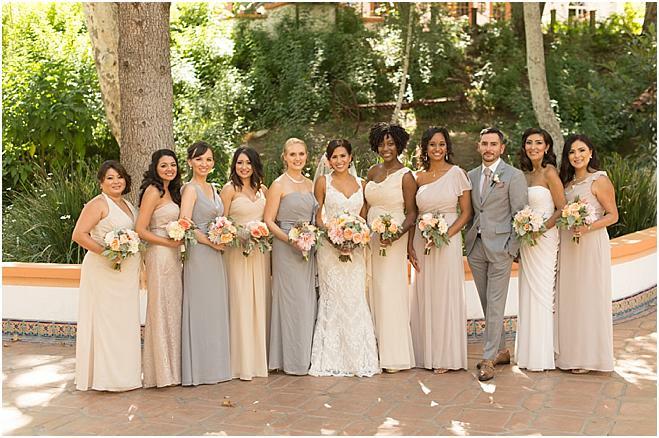 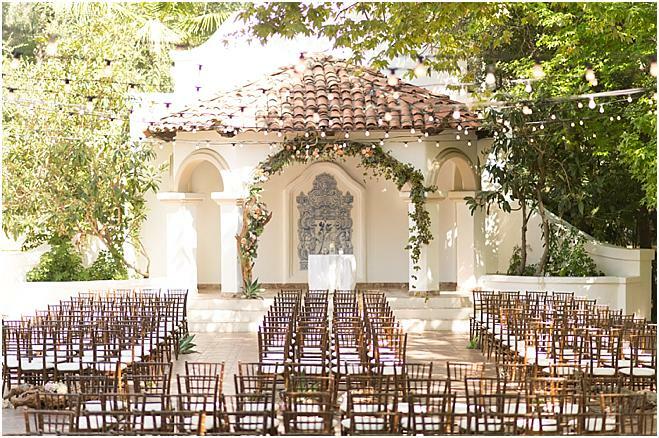 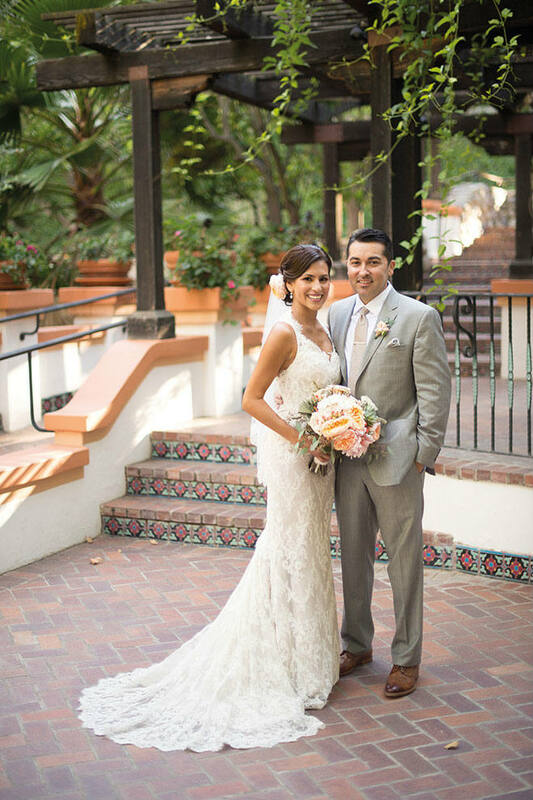 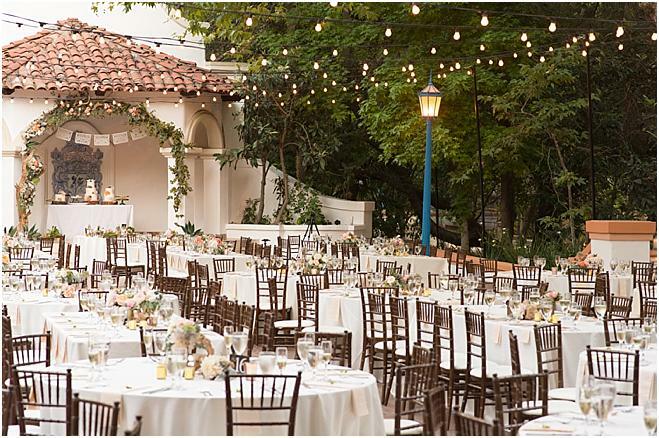 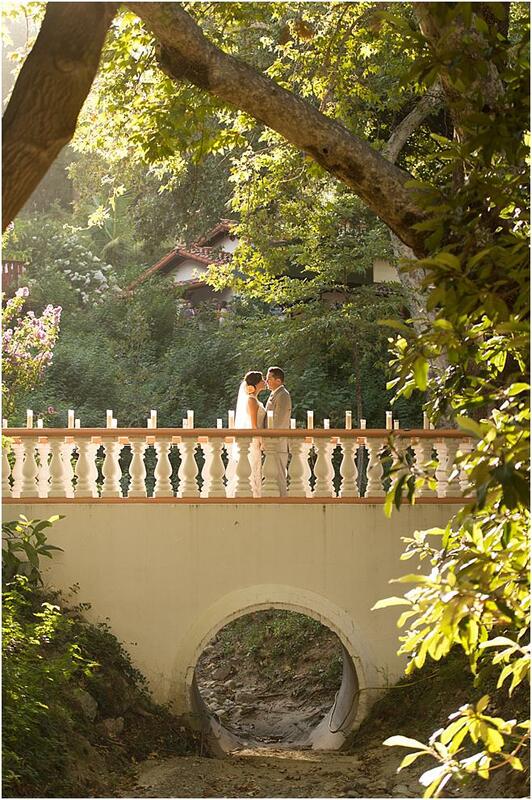 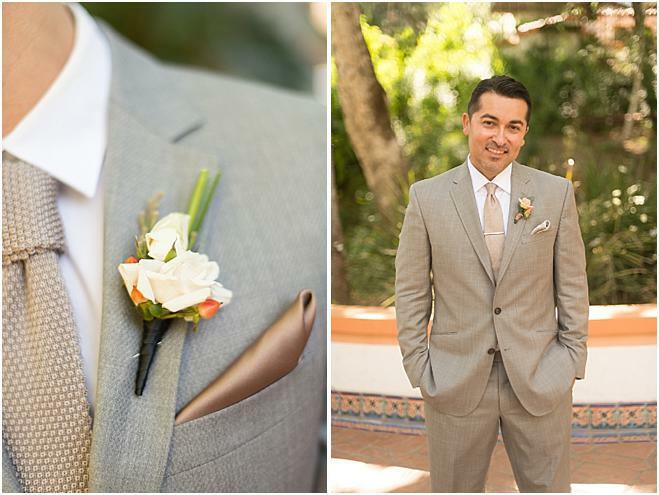 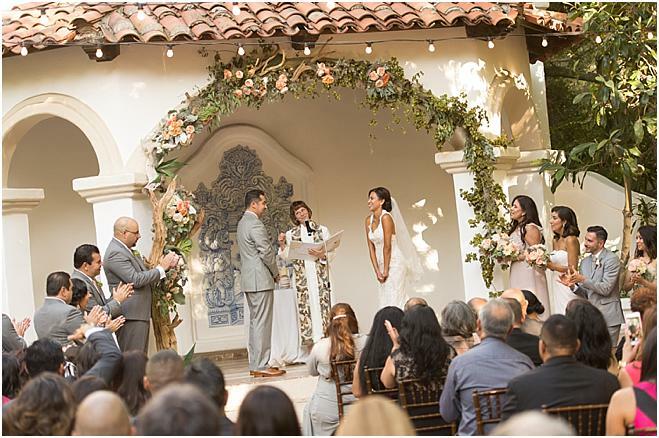 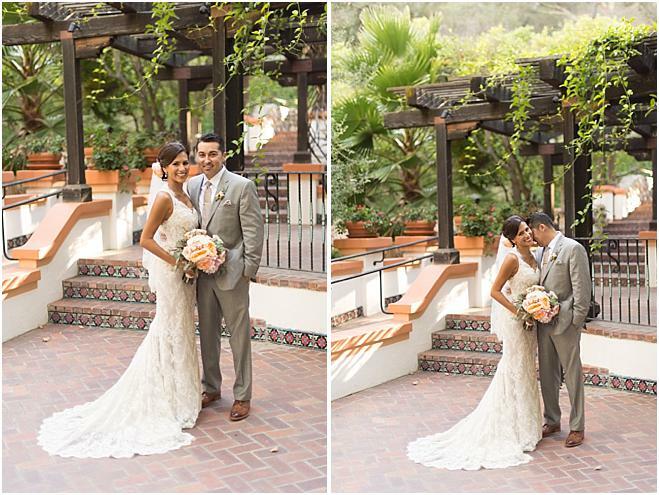 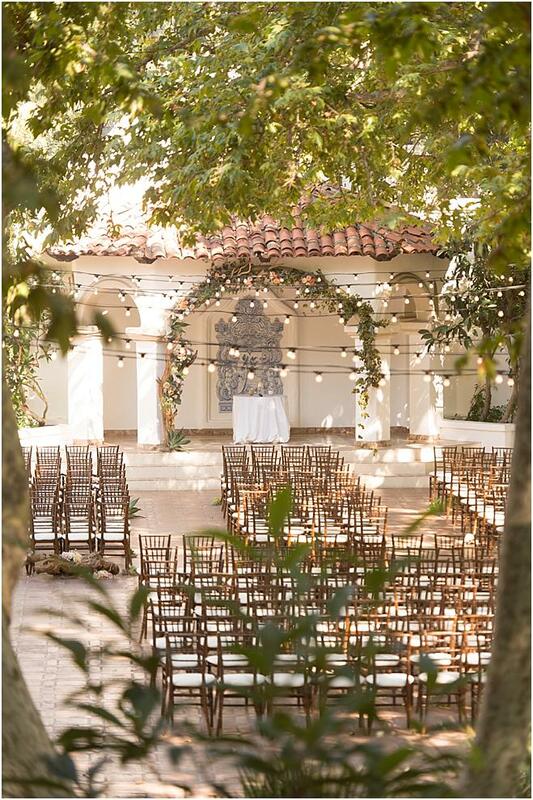 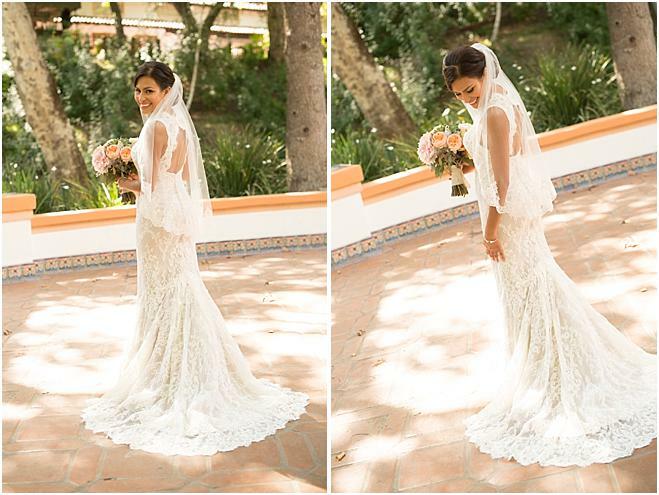 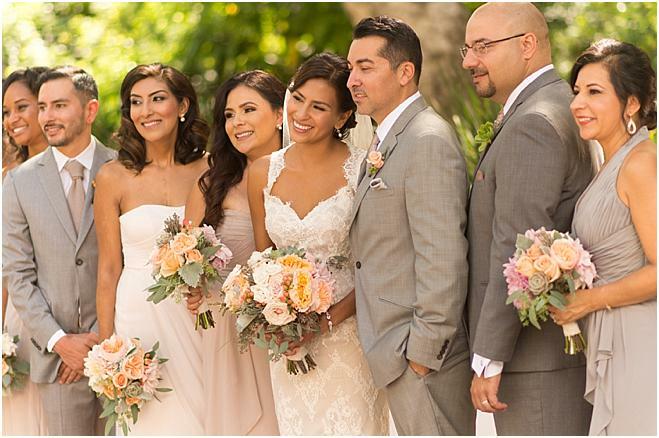 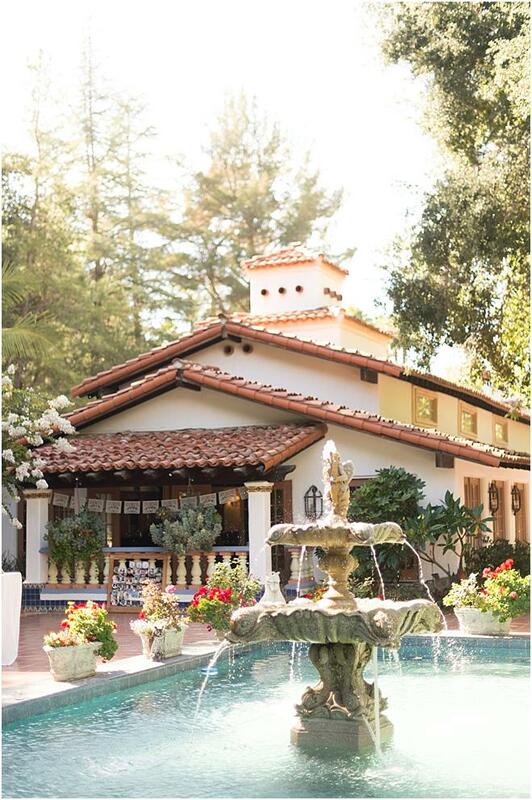 The Spanish-inspired architecture and stately stucco of Rancho Las Lomas, nestled in the green hills of Silverado Canyon, was the perfect setting for Julieta and Jose to incorporate their Hispanic heritage into their wedding. 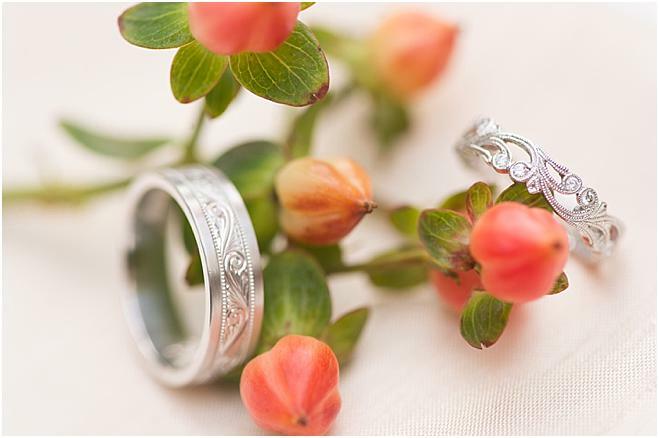 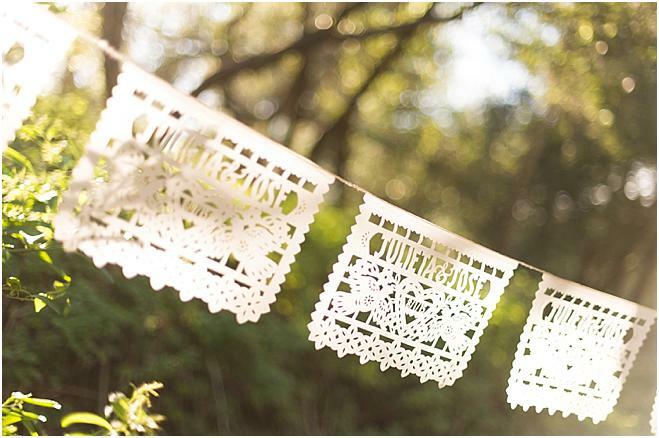 Playful Hispanic touches paid homage to the couples’ heritage while setting the tone for a day full of joy and laughter. 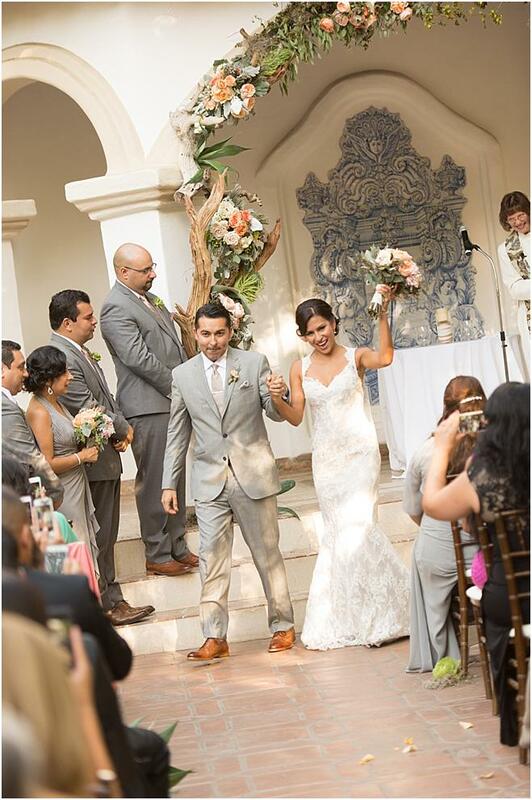 Mariachi band Grupo Neblina welcomed guests upon arrival. 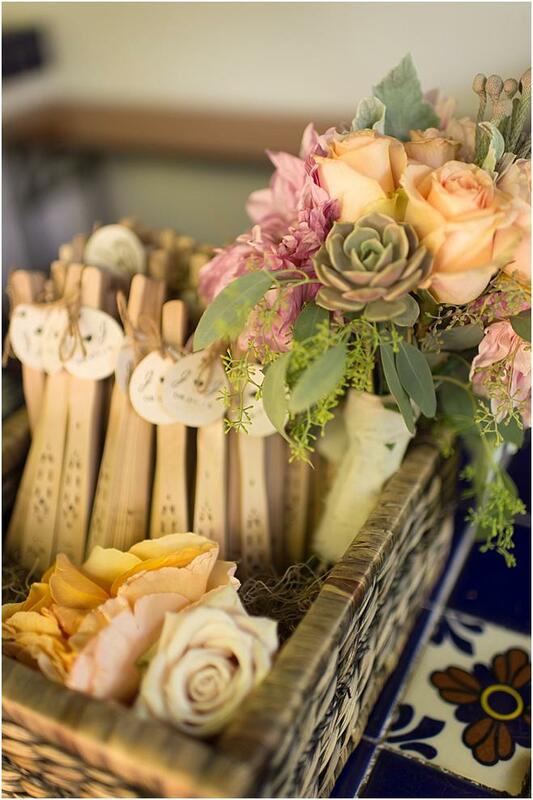 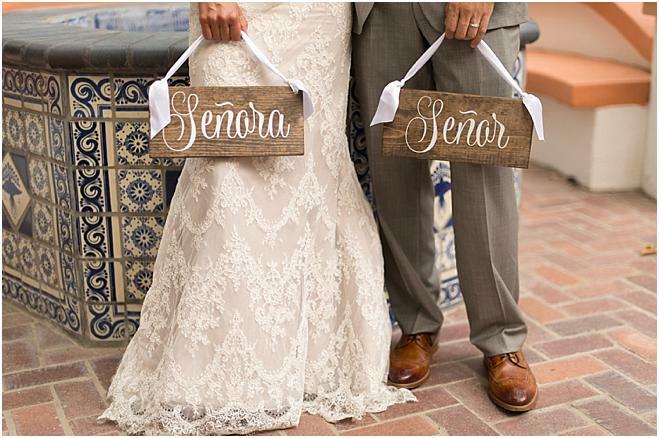 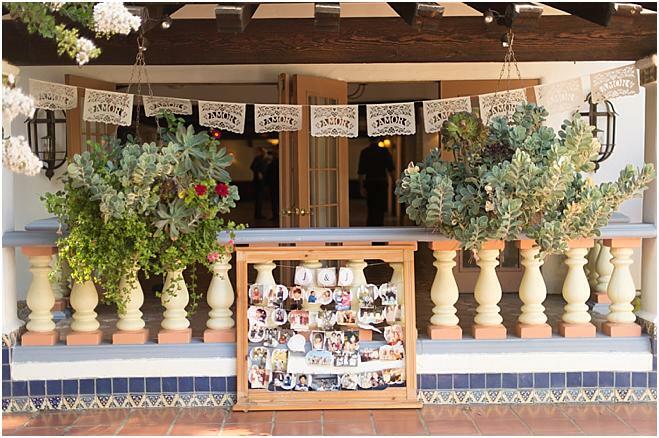 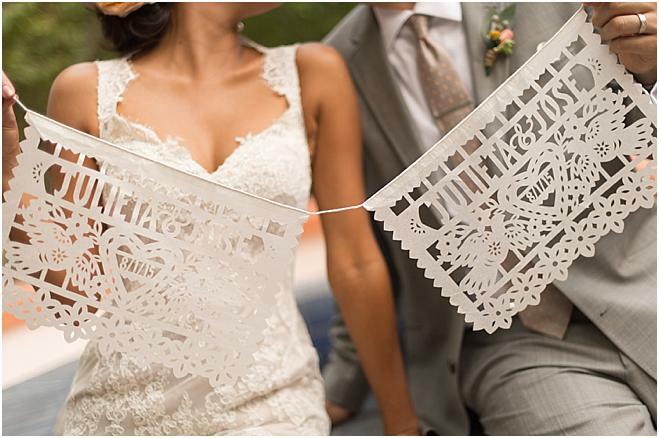 As they walked in, they were greeted with a custom namesake papel picado banner—traditional Mexican delicate white flags—strung across the venue, and wooden signs calligraphied with “Senora” and “Senor” slung from the bride and grooms’ chairs. 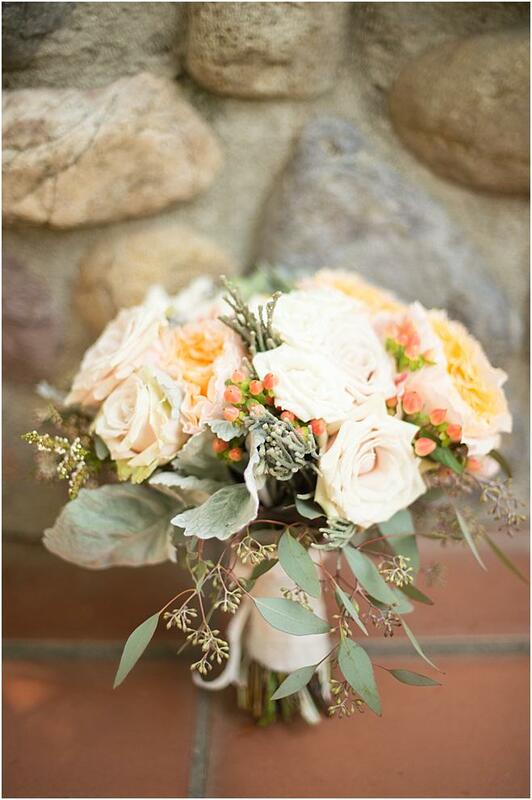 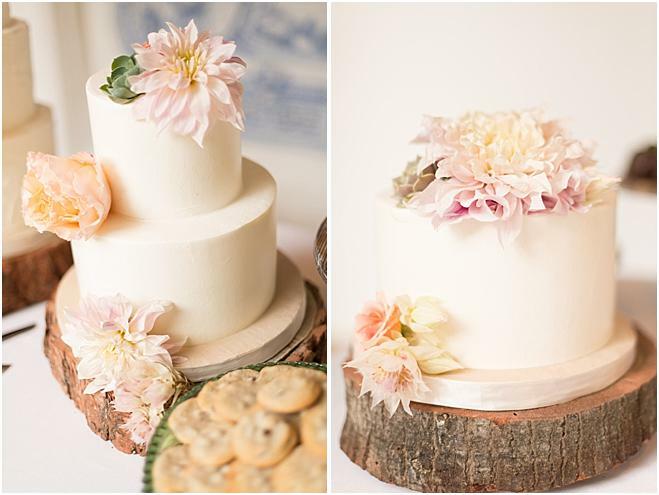 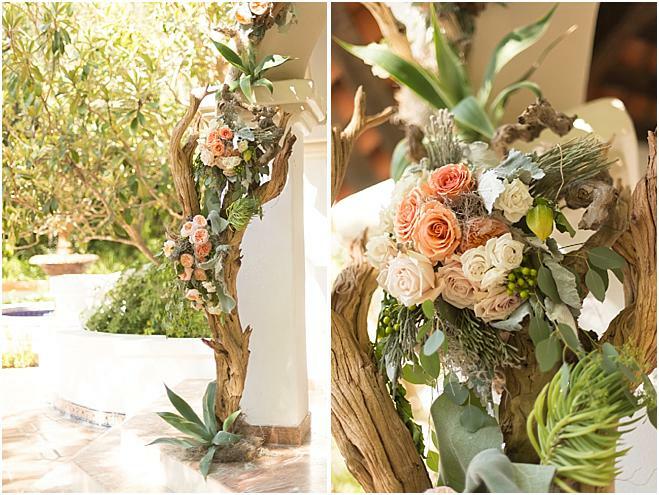 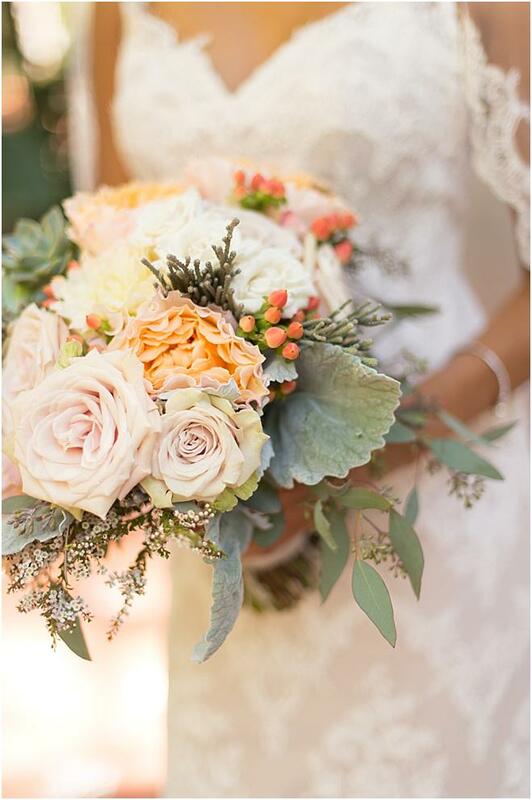 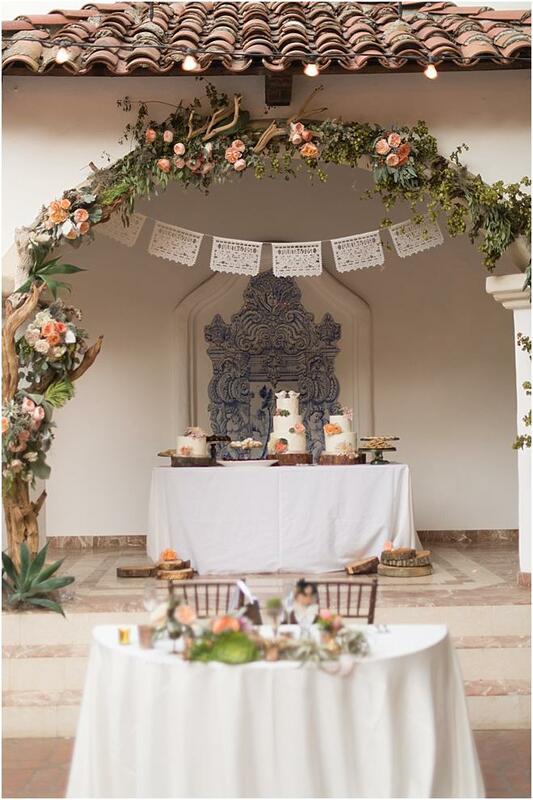 A delicate pastel palette of peach and ivory roses fit with the desert locale. 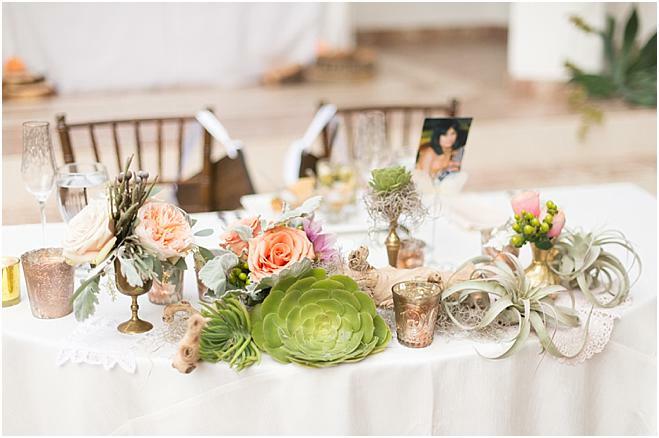 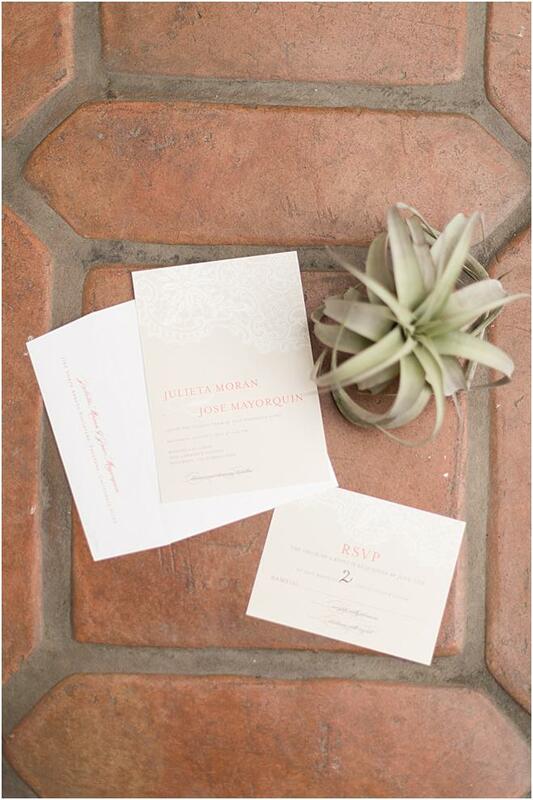 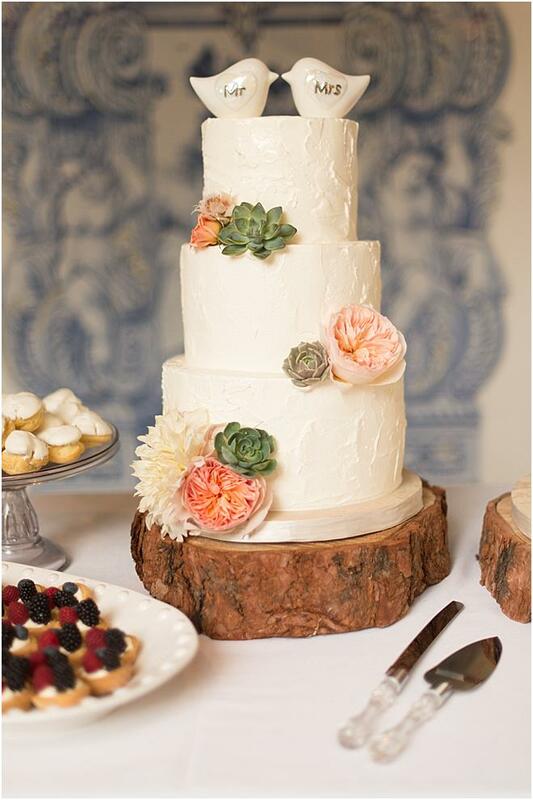 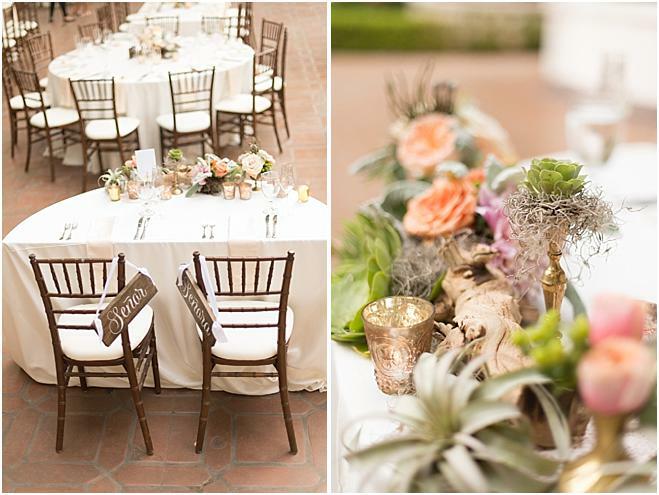 Succulents, lamb’s ear leaves and air plants infused the floral design with a fresh, modern edge. 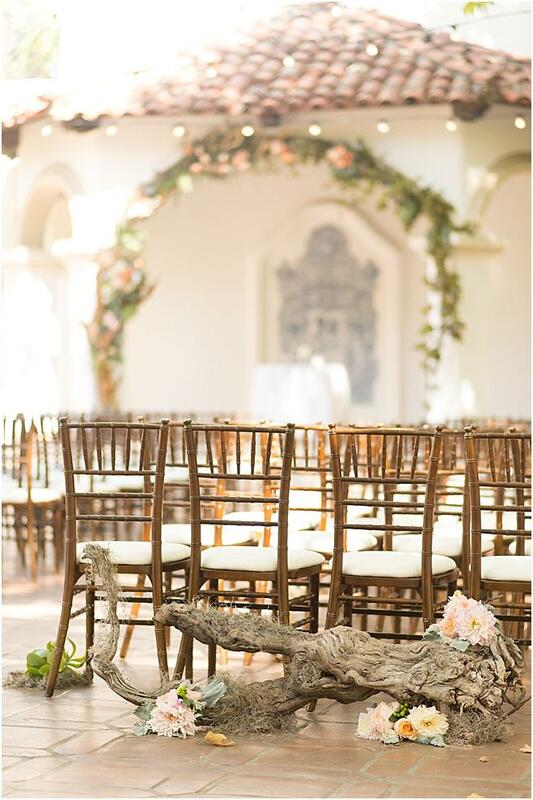 Driftwood centerpieces, antique votive holders and bronze candelabras popped against the all-white linen scheme. 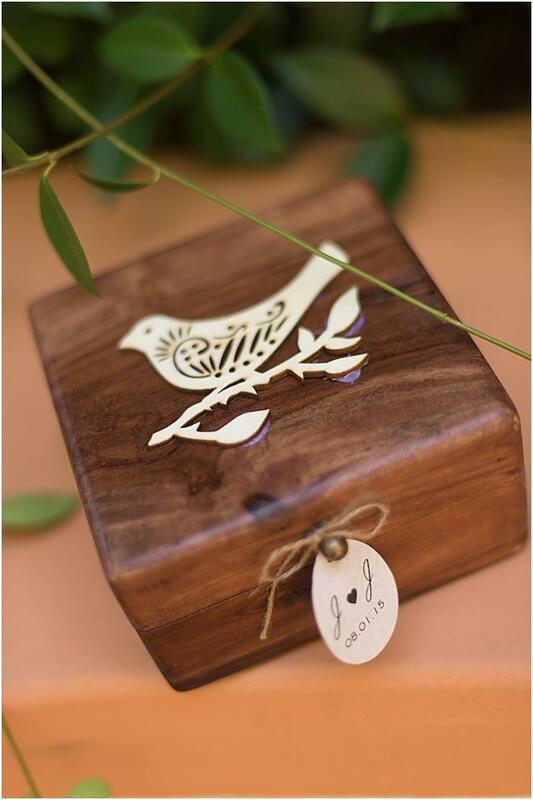 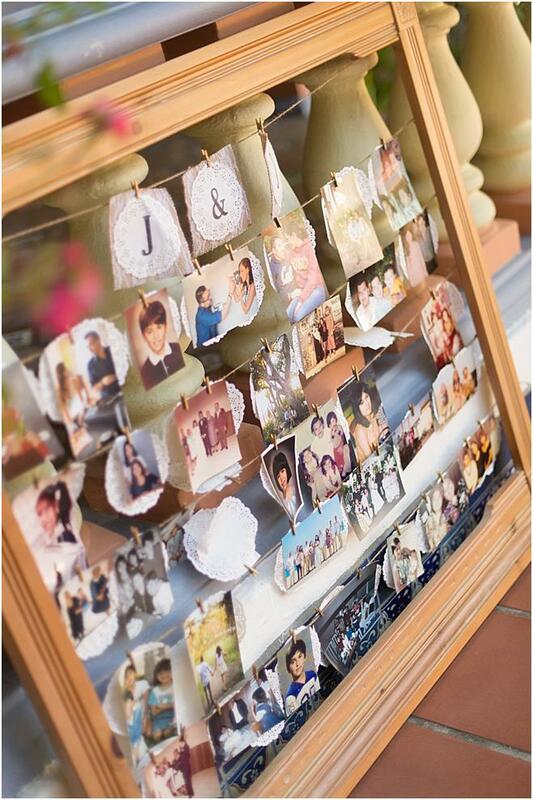 Lace touches, from the bride’s sweetheart gown to the laser-cut wood fans to the centerpiece doilies, added subtle romance.